Renee Buesking (PhD Candidate) was awarded a 2017-2018 Graduate Teaching Award. Jessica Brumley (MA Candidate) was accepted to attend the Juniper Summer Writing Institute in Amherst, Massachusetts this June. Under the instruction of poet Dara Wier, she will workshop a poetry project she completed for Dr. Andrew Zawacki last fall. Claire Cronin (PhD student) won the 2017 Dead Lake Chapbook contest for her poetry collection "A Spirit is a Mood Without a Body." It will be published by Salt Hill Journal (Syracuse University) this year. Paul Cunningham's (PhD student) original poems most recently appeared in issue 16 of SAND: Berlin's English Literary Journal. His latest translations of award-winning Swedish poet Helena Österlund appeared in Vol 35.1 of Interim. In February, he was interviewed by Asymptote and he also introduced a 70 mm print of Alfred Hitchcock's Vertigo in Princeton University's own James M. Stewart '32 Theater. In March, he presented on a translation panel at AWP. Artist Sarah E. Brook recently selected one of Cunningham's poems to be featured in a new sculpture called Viewfinding. The sculpture will be installed in Manhattan's Riverside Park in August 2018. Danielle Gilman (PhD Candidate) was selected for a 2018 UGA Franklin College-University of Liverpool Doctoral Student Short-Term International Research Fellowship to conduct dissertation research with Dr. Sandeep Parmar in the Department of English at the University of Liverpool. Danielle was awarded a Willson Center Graduate Research Award to complete research this summer at Yale's Beinecke Library. She was also awarded the Smith College Mortimer Fellowship. Named in honor of Ruth Mortimer, the distinguished curator of rare books at Smith College from 1975-1994, one fellowship is awarded each year for research in the Mortimer Rare Book Collection. Danielle will be doing research for her dissertation project: "Common Readers: The Literary Criticism of Rebecca West, Virginia Woolf, and Elizabeth Bowen." UGA PhD student Kristen Gleason was awarded a Creative Writing Fulbright to Norway for the 2018-2019 academic year. Ginger Ko’s (PhD student) poetry has been published in recent issues of Witness, Perigee, jubilat, Court Green, OmniVerse, The American Poetry Review, and Apogee. Her second book, Inherit, out of Sidebrow, was named one of the Best Poetry Books of 2017 by Entropy and listed among The Volta’s Favorite Books of 2017. It received reviews from Anomaly and Tupelo Quarterly. 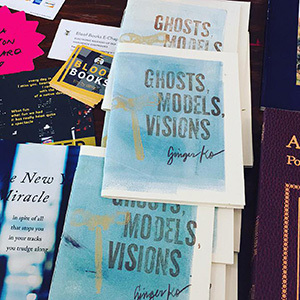 The chapbook Ghosts, Models, Visions was released by Bloof in a limited-edition series. She was an invited reader for the Zeitgeist Poetry Series at Clemson University, and guest judge for the University of Pennsylvania 2018 Creative Writing Prizes. 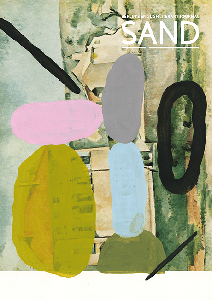 Sara Renee Marshall (PhD Candidate) recently published the first in a series of two chapbooks titled "The Landscapes Were in My Arms (figure 1)" now available from above/ground press. More information and a sample poem from the chapbook can be found here. In addition, she recently presented a paper on mobility in Frances Burney's Cecilia at the British Women Writers Conference, the first draft of which she developed in Dr. Tobin's course on Women and Objects in 18th- and 19th-century Women's Writing. Mike McClelland's (PhD student) collection of stories, Gay Zoo Day: Tales of Seeking and Discovery was awarded IBPA's Benjamin Franklin Silver Medal in LGBT literature. For 30 years, the IBPA Benjamin Franklin Award™ program has been regarded as one of the highest national honors for independent publishers. First-year PhD student Emma Catherine Perry has been awarded a Pushcart Prize for her poem "Bring down the Sky." The winning poem was published in the Spring 2017 issue of Third Coast Magazine. Paula Rawlins (PhD Candidate) presented work from her dissertation project twice this semester: at the MLA (Modern Language Association) conference in January and at the SSSL (The Society for the Study of Southern Literature) conference in February. Her article "From Silence to Song: Reading the Therapeutics of Expression in Judith Ortiz Cofer’s The Meaning of Consuelo," an excerpt from one of her dissertation chapters, is set to appear in the summer 2018 issue of Label Me Latina/o. 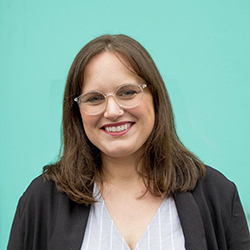 This spring, JH Roberts (PhD student) received a Willson Graduate Research Award, and competed in the Three Minute Thesis Competition with her paper "Devouring Patrilineal Authority: A Consideration of Siggeir's Mother." She will present a longer version of this paper at the International Congress of Medieval Studies in Kalamazoo, MI. She attended the DEMMR workshop "Digital Editing and the Medieval Manuscript Roll" at Emory University. She also presented a paper entitled "Pro Wrestling Activism Post-Election" at the Southern Sociological Society conference in New Orleans, LA. She co-authored a paper with fellow UGA Ph.D. student Dominic Sevieri entitled “’A Well-Wrought Broken Championship Belt': Thing Theory and Professional Wrestling,” which appeared in The Popular Culture Studies JournalVolume 6, Number 1, 2018. Jules Bentley interviewed her about pro wrestling and academia in The Gambit. Sidonia Serafini (PhD student) received the R. Baxter Miller Award in African American and Multicultural Literature. She is also compiling an edition of the life and works of transatlantic preacher, writer, and anti-lynching activist, Rev. Peter Thomas Stanford (c. 1860-1909) with Dr. Barbara McCaskill. The edition is forthcoming with UGA Press. With the Director of the Hargrett Rare Book & Manuscript Library, Ms. Katherine Stein, Sidonia is co-curating the 2019 Exhibit on the Georgia Convict Lease System. Elizabeth Swails (PhD Candidate) was awarded the 2018 Bezanson Fellowship for research in the Melville Society Archive at the New Bedford Whaling Museum. Elizabeth is a fourth-year PhD candidate working with Dr. Cody Marrs. Lindsay Tigue (PhD Candidate) is one of 100 doctoral students in the U. S. and Canada selected to receive a $15,000 P.E.O. Scholar Award. The P.E.O. Scholar Awards (PSA) were established in 1991 to provide substantial merit-based awards for women of the United States and Canada who are pursuing a doctoral-level degree at an accredited college or university. 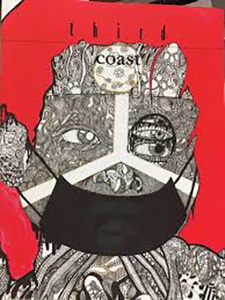 Lindsay's debut poetry collection, System of Ghosts was also, in the past year, shortlisted for a Julie Suk Award, and was a finalist for both the Foreword INDIES Book Award and the Eric Hoffer First Horizon Award for a book by a debut author as well as reviewed in a number of periodicals including Gulf Coast and The American Book Review. She presented a paper on the poet Philip Levine at the Summer 2017 Association for the Society of Literature and Environment (ASLE) conference and was invited to read, speak, and/or teach workshops at Iowa State University, Cumberland University, and the Writer's Block Festival in Louisville, KY, among others. She recently participated in a 30th Anniversary of the Iowa Poetry Prize reading panel at the 2018 Association for Writing and Writing Programs (AWP) Conference alongside Timothy Daniel Welch, Samuel Amadon, Susan Wheeler, and Cole Swenson.